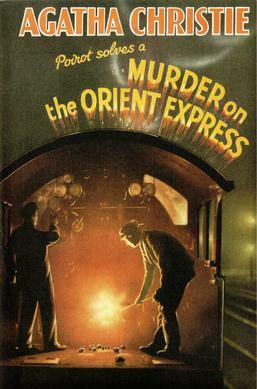 Set in the 1930s, Murder on the Orient Express is a detective novel written by Agatha Christie featuring Belgian detective, Hercule Poirot, a clever and private detective. Poirot is on the Orient Express but the train is caught in the snow. When one of the passengers is discovered murdered, Poirot immediately starts investigating. He first examines the body and the compartment Mr. Ratchett, the victim, was in. The window has been left open but there are no footprints outside in the snow. A handkerchief with the letter “H”, a pipe cleaner, and a charred piece of paper with the name “Armstrong” on it are found in the compartment. Full of French expressions, the narrative falls into a question-and-answer formation. Poirot questions the passengers, revealing the inadequacies of their stories and the minutest of details in their testimony. What is for sure is, things are not as they seem: for all readers know, everyone had a good and compelling reason to kill Mr. Ratchett. In the end, the Belgian detective solves the case, but none are sent to prison. Born Agatha Mary Clarissa Miller (England, 1890-1976), the writer is considered to be the bestselling mystery writer of all time. She was raised in a conventional middle-class family and during the First World War, Christie worked as a pharmacist at the local chemist. The job gave her a working knowledge of poisons, a medium she often weaved into the content of her mysteries. In 1914, Christie married an aviator in the Royal Flying Corps, Archibald Christie. The marriage was somewhat turbulent and ended in divorce in 1928. In 1930, she married her second husband, Max Mallowan. In 1956, Christie was appointed Commander of the Order of the British Empire and then Dame Commander of the same order in 1971. The “queen of crime” wrote more than 90 books, which have sold an estimated four billion copies total. Many movies and TV shows were also created as adaptations of her novels.